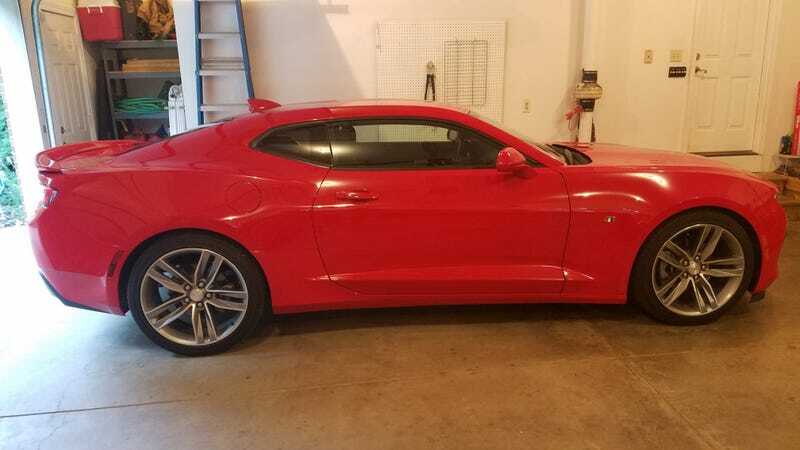 After some debate and consideration, I decided to trade my FiST for a 17 Camaro RS V6 manual. I liked the FiST a lot, but the Camaro is a seriously good car, and I believe will be overall more fun than the Fiesta. I never thought I’d ever be interested in, let alone own, a V6 Camaro but this 6th gen is great. It has good power at 335hp and sounds great. The manual adds a lot of character and fun. I’ve ordered a GM CAI that comes with a GM tune that should improve response and add a few HP. After you get used to not being able to see out of the Camaro, it doesn’t feel all that large. It actually feels relatively small and nimble. Which is another thing I never guessed I’d say about a Camaro. Overall, I’m surprised! I have to say I considered this RS V6 in large part due to the price. It had a $31,500 MSRP and the final sale price was $23k. Plus they gave me a very generous trade value on the FiST, so the actual deal value was greater than that. At this point, the 17s are being blown out, and I was happy to find a relatively unusual 1LT RS V6 manual.